Macbeth: I heart Underground Rebel Bingo! 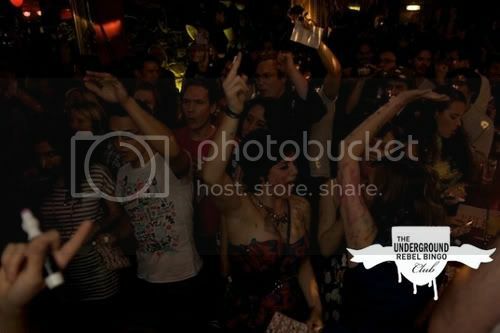 I heart Underground Rebel Bingo! The Underground Rebel Bingo Club at The Macbeth. It is held every two weeks, and could possibly be the best night i have been to in a while. The night consists of loud music, a few games of bingo, where you can win things such as a liter of gin or a inflatable fat suit, drunken people drawing on each other with bingo markers and the numbers are called out by two incredibly hot girls.